A long time back, I’ve crafted a post on the topic “Things Not To Be Tweeted on Twitter” as it is an extended social network. 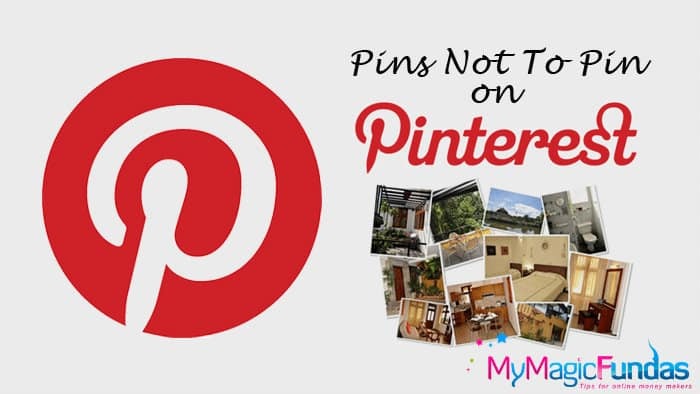 Now, I am gonna discuss the similar kind of topic on Pinterest “Pins Not To Pin On Pinterest” through this post. Pinterest, the visual social network, is growing with more than 70 million active users. For bloggers, the social network was the second largest source of referral traffic in the 3rd quarter of 2014. It can give you a truck load of traffic when used correctly, but if you try to go against the rules, Pinterest and its lively users are so quick to disown you from their network. If you are looking as to why your pins are not performing on Pinterest, here are some tips on what not to pin on Pinterest which would save you from embarrassment. Why should you be careful about what not to pin on Pinterest? Before explaining what not to pin, let me just point out why you should follow my advice on this post. 1) Pinning without considering your SEO can make your boards and pins invisible to searchers on Pinterest. 2) A broken link in your pins may make your followers get angry and hurt your referral traffic. 3) You wouldn’t want to land in a legal controversy by pinning copyrighted stuff or illegal images. So, I’ve decided to write this Pinterest post for you! Here are some helpful tips on what you should avoid pinning on Pinterest. About 80% of the pins on Pinterest are repinned of existing pins. Repinning a pin is like sharing a Facebook status or retweeting. Having said this, I would also point out that repinning other people’s pin without checking the links they point could be disastrous. Pinterest is not void of spammers, but many pins point to suspicious sites that can cause damage to your online safety. If any of your followers find a pin on your board that led them to a scam, they will not hesitate to report you to Pinterest. Key Takeaway: Be careful about whose pin you are repining. Always check their profile and the link to the corresponding pin. When we pin a blog post on Pinterest, choose an image that inspires the folks at the social platform to click the image. Let me explain: Suppose a blog post has a series of images, some are mere graphs and dull illustrations while the feature image is catchy. You think pinning any image from that page will lead your followers to the particular post. But, in reality, an attractive image only gets more repins and more click through. Key Takeaway: Do not pin “just any image” from a blog post. Pin the image that motivates the users to click on your link. It would be good to find out the long vertical images to perform better. Key Takeaway: You should prefer tall images and try not to pin a horizontal image if the blog post has a taller alternative image. If you are followed by 500 minded people on Twitter for business and you inadvertently start tweeting movie-related tweets what would you notice? They will all unfollow you. Similarly, on Pinterest too, try not to pin images or media files that are not related to the niche your account works in. Key takeaway: If you are a blogger do not pin images of film stars or cartoons on your blogging niche pin board. Pinterest button now appears on almost all the websites, especially the ones related to art and craft. But, there are sites that do not allow you to pin images from their posts. This might be because they do not want any breach in privacy or probably because it is related to art and craft and they are afraid their ideas could be stolen. Key takeaway: Whatever the cause might be, if a website says not to pin an image do not go out of your zone to pin them. This may land you in a legal controversy. I check all my links before pinning them to Pinterest. But, for many of you just repining other’s pins might lead to a broken link. Sometimes, web pages get deleted, or sites get discontinued. Many times I have seen broken links from sites that have changed the permalink structure and forgotten to add a redirect. Pins already existing from these sites not point nowhere but to an “error 404 page”. While the parent blog might not care for this silly mistake, such pins can arouse anger amongst your followers, and they may unfollow you. Key takeaway: You should not pin images that have broken or suspicious links. You should also go for a seasonal cleaning of your boards to keep a check pins with broken links. On Pinterest, you have a huge chance of getting discovered by people worldwide based on the images you pin. Most Pinterest users are women, and I don’t need to say how keen women are to perfection. No one would like to see you pin a thumbnail image or an image that is too blurry due to low quality. Similarly pinning very arousing pictures (like too many contrasting color schemes) or images that evoke strong emotion might turn your fans off. Key takeaway: Avoid pinning stuff that is too sparkly or too emotion provoking. You are on Pinterest to marketing your business and get followers not to call a war. Pinterest is for people with coolness quotient. Don’t overwhelm your fans by pinning pins even after you have pinned enough pins for the day. Going on an endless pinning spree can kill all your creativity and feel the news feed of your fans with only your tweets. Key takeaway: Don’t pin too much of pins. While we now saw what not to pin on Pinterest, I have a solution for your pinning spree. It is to have one or any number of secret boards on Pinterest that no one but you can see. This way you can pin whatever you want and whenever you want without hurting your Pinterest SEO and disappointing your fans and followers. 1) Go to create a board from your dashboard. 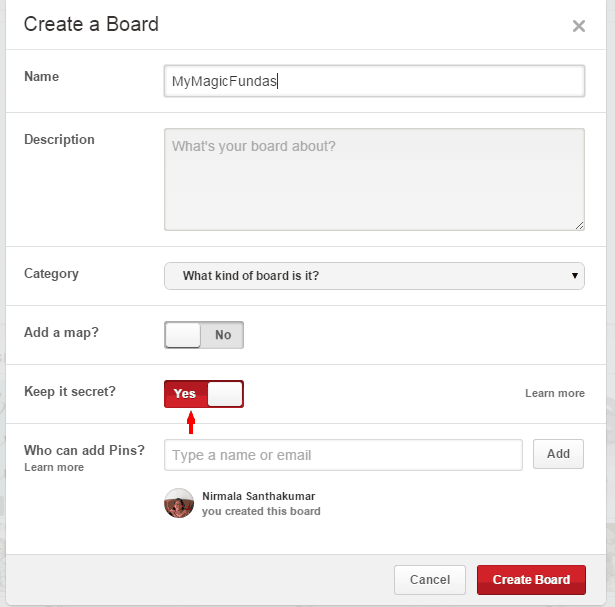 2) Choose a name for your pin board and toggle the button that says keep it secret. It will make your board secret and hide its pins from strangers. Pinterest is a fantastic place to organize and share the images that we find interesting. It is one of the fastest growing social networks which acts as a right place to promote your business. Bloggers and internet marketers can establish an excellent reputation on Pinterest and thus it would be good to keep away from the certain things to maintain its prominence. I hope that you’ve learned on what pins to avoid pinning on Pinterest. By being a little careful, we can increase our engagements rates on the platform and also increase the reach of our pins. The only aim of this strategy is to provide a smooth and glitch-free experience to our followers, and that should be our ultimate intend for Pinterest and every other social platform. What tips do you follow for Pinterest pinning? What type of pins would you like to avoid pinning on Pinterest? Do write them in the comments below. I really never thought about pinterest in these ways. I have been just caring about broken links and right board to pin the image all these days. Is that horizontal and vertical picture strategy is real? I think I should take care of it from next time. Thank you so much for sharing. It is very educating. Glad you find the post useful. You can drive a huge traffic from Pinterest if you spend some quality to pin your posts and repin other relevant posts. Yes, it is true! I came across that helpful post on Pinterest and thus I’ve included it. If you have time, please read the blog post by Dan Zarella on pinning vertical images. Thanks for getting time to check my blog posts and leaving your wonderful comment, keep coming! I hope you are doing well. Sorry I could not visit your blog regularly as I have been dealing with my exams. Coming to the post, Glad that I read this today because I just received joined Pinterest and I am learning basics of it. I agree to your point. The images who be relevant to the board you are pinning it. Your example was hilarious – “Pinning cartoons and film stars in the blogging niche pin board”. But I understand there is a sound advice behind this. Yeah, I’m fine. Why would you be sorry? I know that you’re busy with studies. Good to know that you’ve recently joined in Pinterest and I’m sure that you will fall in love with it. You’ll come across a variety of interesting blog posts from different bloggers. Connect with the people of the same wavelength over there and drive traffic to your blog. Help others by repinning their pins. All the best for you to get good exposure from that prominent social network. Thank you for getting time to share your views on the post even in your busy schedule, means a lot. Keep visiting when you get time. All the best for your exams, study well. Glad you liked the post. Yeah, I too puzzled about the research result of vertical images and thus I’ve linked that post. Thanks again for getting time to read my post, keep visiting to share your nice thoughts. This really is a great post for Pinterest Marketing. I too believe that most of the bloggers use this great social platform blindly and just posting their blog post links as Pins. You will not get any traffic unless you do the pinterest marketing with good looking images. And also remember to put up something in Headlines that encourages readers to click it. Welcome to my blog, well-said Ovais! Blindly pinning the images on Pinterest would not help in getting blog traffic. Quality time should be spent over there to carry out some essential stuff to reap its benefits. yes, of course! The headline should be eye-catchy to grab more eyeballs. Thanks for getting to write your wonderful thoughts in the comment section, keep visiting! Fantastic Information , Really i used do blindly pins for my account to get more pins. Every one do like that only i thought . Blindly pinning the images on Pinterest would result in nothing. We need to follow some marketing strategies to get its full advantages and authority. Glad you liked the post, keep coming! I just read an article about pinterest marketing and I guess this would be the second article on pinterest I’m reading today. Welcome back Vicky, Where you’ve been these days? Good to hear that you’re gaining knowledge on Pinterest by checking the blog posts related to it. I never think about Pinterest in this angle. Some new tricks about Pinterest marketing. Hope! It will increase my content marketing knowledge. Thanks for sharing details article. Thanks, Al Mamun for checking the post and sharing your views. Stay tuned! I think that you’ve found this post at the right time. Pinterest is an amazing visual-based social network which would let us gain more credibility in our niche. Sure! 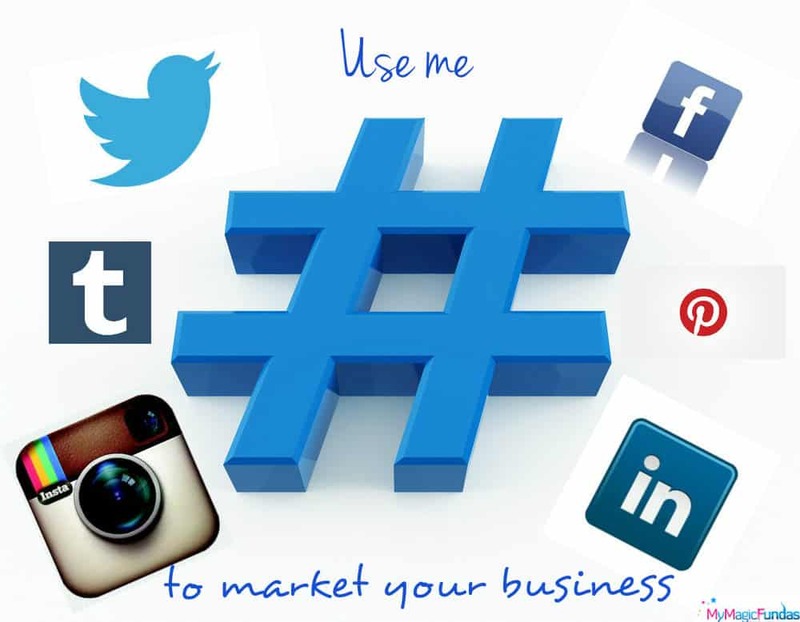 Do promote your business over there to get more exposure. Thanks for finding time to add your comment, stay tuned! I started using the Pinterest from past few weeks now and these tips are really awesome for me to use it more wisely and in a good manner. I have heard about it many times on other blogs like QuickSprout that always use vertical images because they are the ones perform well on Pinterest compared to others. I’ll keep your tips in mind next time when pinning on Pinterest. Before that, I was just going blind pinning every other image from others’ boards without checking where will this image land the visitor. Cheers, you find this post on Pinterest useful and great you’re a reader of QuickSprout. Yes, I too recently came to know that the vertical images would rock in Pinterest and thus planning to use such kind of images for my blog posts. Not only you, most of the bloggers and Internet marketers are just pinning the images without knowing its prominence. I would say that it is an awesome resource to drive traffic, connect with like-minded people and get new ideas to write. Glad you liked the post, keep visiting here to leave your thoughts and experience. That’s really informative tips for using pinterest and also what to pin at pinterest. I’ve been using pinterest for all my sites and uploading images for the same and your tips will be of great help. Thank you Christy for taking the time to read the post and drop your comment. Good to know that you’re using Pinterest for your websites. Stay tuned to grab more helpful information. It’s really good to know that you’ve started using Pinterest to promote your content and driving traffic from there. Glad you’ve learned something new through my post, stay tuned to grab more beneficial information. Yes, you are right about Pinterest, especially as we need to take care about what not to pin as you mentioned. However, if you have several boards and have joined various group boards that are not from your niche, you should pin all kinds of pins in that case – why just related to blogging! I see no harm there – in fact, more the merrier. That is how you widen your reach too. You are right about checking the pins before pinning, though if they are generally quotes or pictures, one doesn’t need to all that much. But any resourceful link should be checked for authenticity before being pinned. Or else, if you have known friend’s you’re pinning from, you know you can trust their pins blindly too and repin those. A lot also depends on the kind of group boards you follow and what’s pinned on those, isn’t it? Yes, pin the apt images from your blog in the right board, that is needed. While I agree about the secret board part of it, but if you pin your posts there and no one can see them or repin them, would it serve the purpose. Alternatively, you can invite a few limited group of friend’s to the secret board (kind of a closed group) and pin each others post. But nothing like going public and letting your pins go viral. Pinterest is the topmost source of traffic for my blog, so I know it works wonders, and I am sure after reading your posts people would learn and be there more. Though I have been active on Pinterest for quite a long time now, I had some doubts regarding the types of pins I should pin and those I shouldn’t. I generally pin the posts from my own blog and from the blogs of people whom I know personally. I have a question here…what is the best way to make my pinterest account visible to the world and spread it far and wide? This was a real eye opener. While I knew about the long pins I never thought that repinning pins without seeing can make us pin spam images. I have to check my pins with broken links too. Ah, that secret board is awesome. Thanks for the tips. I will use it to pin my upcoming post articles, fitness articles and many other things. Thanks for getting time to check my post. Your constant support through commenting and sharing is really appreciable. Yes, blindly pinning the pin would spoil our reputation and thus we should have an eye while repinning other pins. I too gonna make use of the secret pinning board for specific followers. Hey thanks for such important information about Pinterest. I have heard a lot about Pinterest and after reading this post now i am thinking to start on Pinterest. Looking for more updates. Pinterest is an amazing source to drive traffic to a blog or website. For that, we need to spend some quality time over there to connect with like-minded people by repinning their quality posts. Don’t delay anymore, just start pinning the images of your blog posts, follow the people of the same wavelength and gain great exposure. Great post indeed. I love the way you have explained and finish the article. After reading this post, I find that more time I was wrong on Pinterest. I never care what I am repining and which type of content I am repining. 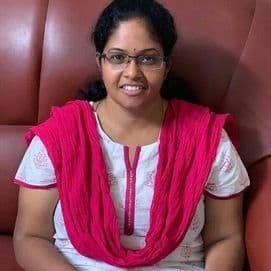 Thanks a lot mam to guide me to go in a direction. Now I will take care of all these points so I can get some more traffic from my Pinterest account. Now I can understand why cant get traffic from Pinterest. 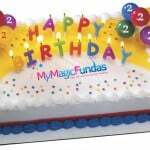 Have a great day Ma’am. Cheers, you liked the post and thanks for getting time to leave your comment and sharing it on the social networks as well. 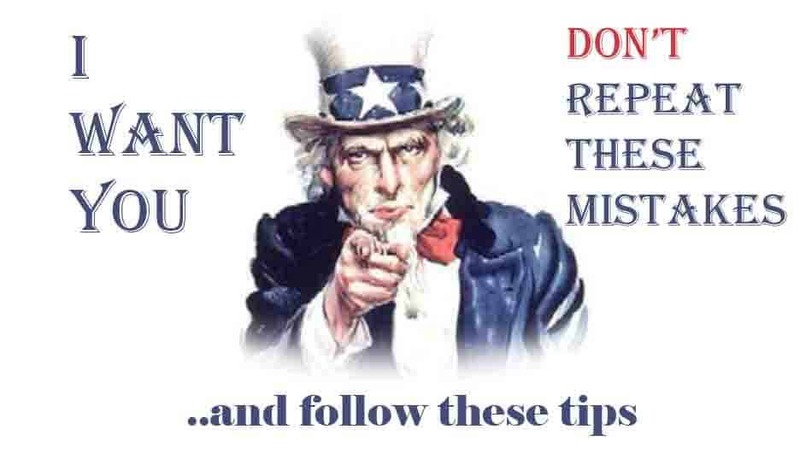 You should be aware of, what you’re pinning, will be it helpful for your followers and all. Follow the people of the same niche and pin good quality images for them. I’m sure that you’ll drive traffic and gain credibility through Pinterest. Thanks for sharing..! Actually, I’m not working with much social media platforms. You know..? I’m just keeping active on Twitter, and Facebook because I lack of managing my time. Registered Pinterest account for almost 2 years, but I’m not to much focus on Pinterest because I did not found much referral traffic to my own blog – most of traffic came from Twitter, and Facebook. You tried to learn more about social media marketing strategies such as Google+, and pinterest because I found that many famous bloggers are using Pinterest for increase traffic. Not only you, most of the bloggers struggle with the time management system. Driving genuine social media traffic is an art. We have to spend good time over there to connect with followers and earn their trust by sharing quality information for them. I feel bad that you’re missing Pinterest traffic to your blog. Just spend some time over there to follow your preferred boards and pin your blog post images there. Repin other’s images too. Yes, G+ and Pinterest are the great sources of traffic thus I’d like t learn the new stuff about those prominent social networks. Thanks for adding your comment, have a nice weekend. Sister, thanks for your advice..! Actually, now I am currently working on Twitter project. I spend more for social media like Pinterest. Anyway, thanks for your advise, and I’m going to follow this.. I agree all your valuable points especially 3rd point. As a blogger i have been using pinterest over 2 years and experiencing traffic for all posts through it. In my opinion, Pinterest is all about images particularly vertical images which is not comfortable for tech bloggers like us, because we can’t use those kind of images in our blog posts. Fashion & food blogs can enjoy the maximum traffic from Pinterest, because they only use those kind of images. 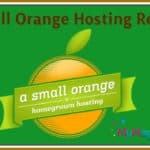 You have very great blog with all informative posts . I really enjoyed reading some of your posts . Frankly I really didn’t know about this. I used pin any blog posts , images . I have never given much important for pinterest. I think that’s the reason I am not getting success in Pinterest. Can you please guide me with how much percentage of pinterest should be include from other blogs and our own blog ? I heard 80% from other sites and 20 % of our own site , is this true? Ofcourse you are right about each of the points, I guess we should always focus on what we are sharing on pinterest. For you for the excellent Pinterest Guide. Sharing anything on the social media without checking it properly is a bad idea. One should absolutely check and be 100% sure of what they are re-pinning – as followers do trust their influencer and might click on the link that the influencer decided to ignore himself. Surely, the taller images works much better in pinterest. I guess that is mainly due to how pinterest display the homepage, somehow the taller ones get more attention. Nice article on Pinterest Marketing. I too believe that most of the bloggers use this great social platform blindly. You will not get any traffic unless you do the pinterest marketing with good looking images and also we should not forget to put up something in Headlines that encourages readers to click it. This way we can do better marketing. I am new user of Pinterest Marketing, thanks for you content, it will help a lot..